Do you include "other" revenue in the equation? This question came from our site for finance professionals and academics. So you would not want to account for one of the above factors in addition to Net Sales. You need to clarify through a description what you want, many different margin names are often used interchangeably(EBIT = Operating Income etc.) Gross Margin the way I think you're asking would use Gross Profit, which is Revenue - Cost of Goods Sold. And You would arrive at Gross Margin through Gross Profit / Revenue. Not the answer you're looking for? Browse other questions tagged accounting calculation stock-analysis ratio or ask your own question. Does revenue for a company matter when evaluating stocks? 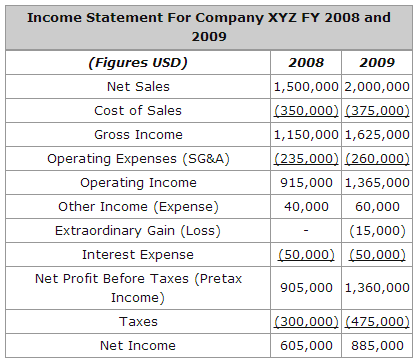 What's the difference between a company's after-tax profit and their sales/revenue? How you make decision on a stock purchase after fundamental analysis? Is there a better term that means “the amount subject to a commission rate”?